The Australian International Documentary Conference is calling on supporters to donate to Leading Lights, a philanthropic fund for emerging and diverse documentary practitioners. We believe that a diversity of voices and perspectives is vital for a healthy screen industry. The Leading Lights Fund is designed to enable early career, Indigenous and CALD (culturally and linguistically diverse) practitioners with the opportunity to attend the AIDC conference. Thanks to our first round of generous Leading Lights donors, the Fund introduced 26 diverse voices and perspectives to AIDC 2018, enriching the documentary and factual community and building the foundations for the future of the industry. In 2019, we want to continue to provide professional development opportunities for emerging, Indigenous and CALD practitioners to access AIDC sessions and masterclasses. 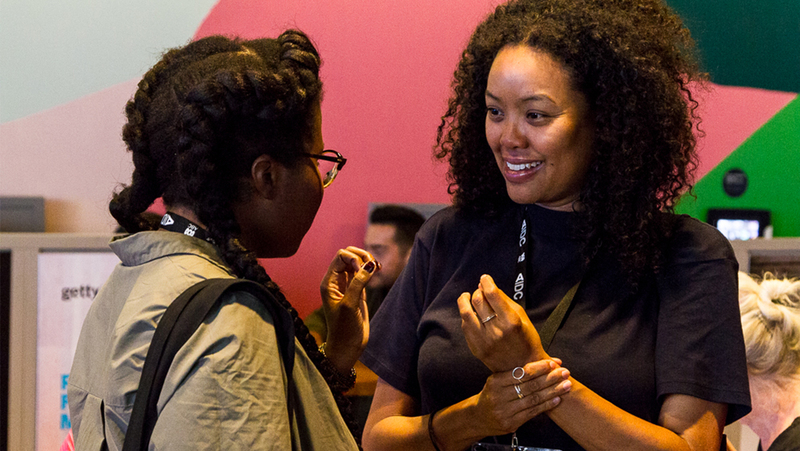 We are inviting you to make a tax-deductible donation to the value of one or more AIDC Focus Pass ($605 per pass) to help usher in a new generation of factual storytellers. Donate now and become a Leading Light today. Mikael Borglund, CEO and MD, Beyond Screen Production. “Being part of the Leading Lights program meant that my first AIDC was a warm, energising and hugely successful 4 days. The access to decision makers and international guests was remarkable, and I constantly felt supported, stimulated and welcomed by AIDC and the extended factual community”. *Additional donations are welcome in increments of $605 for each Leading Light recipient. AIDC is a registered charity with DGR status, and your donation is tax deductible. All Leading Lights donors will be gratefully acknowledged in the AIDC event guide, on the AIDC website and on a cinema slide before every conference session/screening in 2019. To donate, click the PayPal button below. Or email natasha@aidc.com.au to arrange direct debit bank transfer.